Are you a top student and a top rower? Do you want to improve your rowing skills abroad? Apply now for the Nereus Excellence Program! Experience what it is like to live in the vibrant city of Amsterdam and to row for the most successful rowing club in The Netherlands! 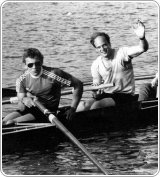 Nereus offers a program for international top students of all disciplines that combines rowing and studying or working. Top rowers who are also excellent students.